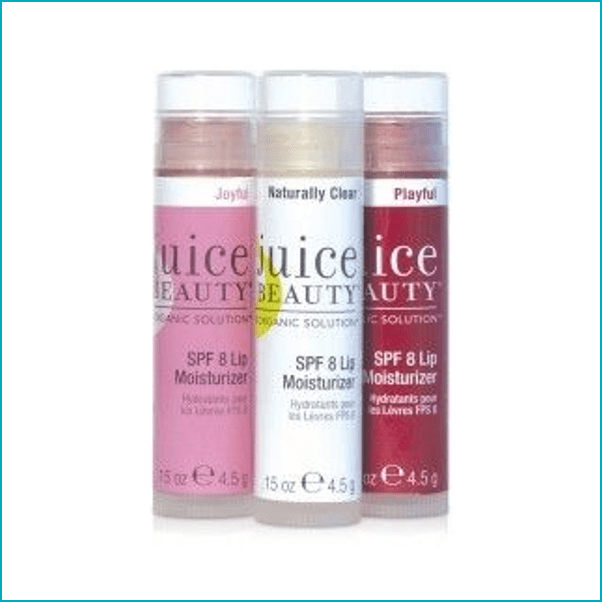 Lip treatments should be an essential part of any skincare routine. The skin on our lips is vastly more delicate than the skin on our face. Our lips have a very thin outer layer, cannot produce melanin (can’t protect against the sun), and have virtually no oil glands to produce moisture. Without proper hydration and care, our lips can easily become dry, chapped, cracked, and irritated (commonly experienced in the winter months). 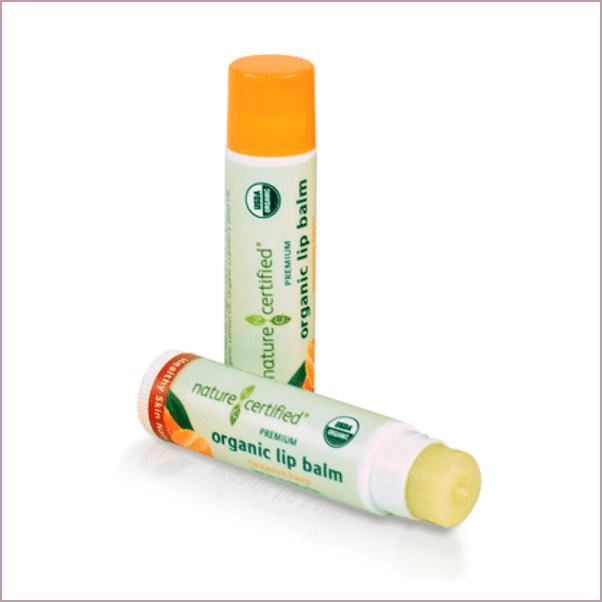 A great organic lip balm can be a fantastic routine treatment to keep your lips moist, soft, and safe from sun damage. 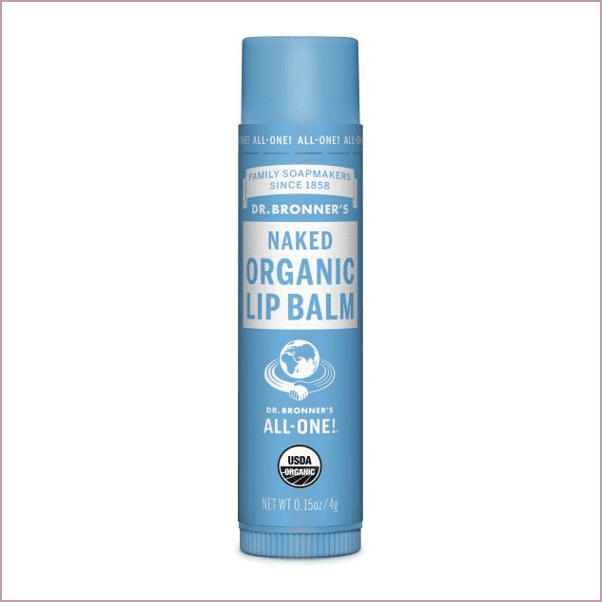 Organic lip balms offer the same (if not greater) effectiveness at healing dry lips as their synthetic counterparts without any of the potentially toxic ingredients like parabens, petroleum, alcohol (will dry out lips), propylene glycol, and other potentially cancer-causing agents. Remember, whatever goes on your lips will inevitably end up in your mouth and absorbed through the skin. If you wouldn’t eat it, why put in on your skin? 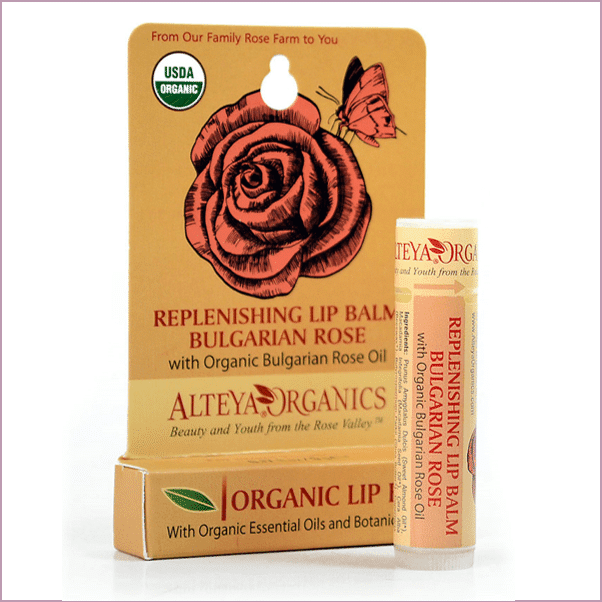 By using reputable organic lip balms, you ensure that you only ingest the highest quality natural and organic vegetable oils, fruit extracts, honey, and herbs. 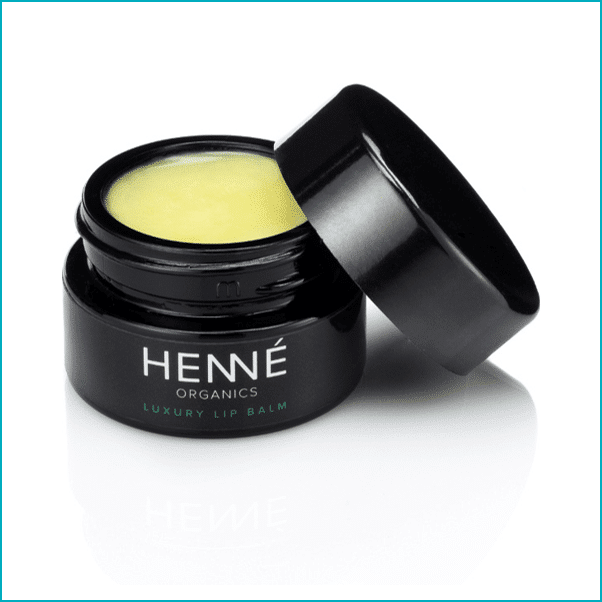 Organic lip balms are crafted with blend of hard waxes, oils that are solid at room temperature, oils that are liquid at room temperature, and extras like essential oils, honey, teas, and vitamins. Hard waxes help to lock in moisture and common hard waxes used in organic lip balms are beeswax and candelilla wax (a vegan alternative). Solid room temperature oils, like coconut oil and shea, give lip balms their distinctive “creamy” texture; whereas, liquid oils penetrate the skin for deeper anti-inflammatory, antibacterial, and anti-aging benefits. Extras like honey, essential oils, and herbs add flavor and work to treat specific lip conditions. 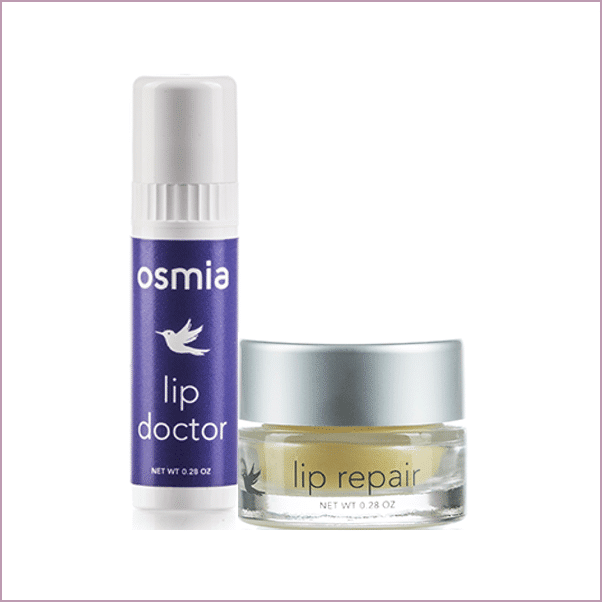 These natural ingredients are incredibly effective at healing even the most severe dry, chapped, inflamed lips. Some of the most common oils used in organic lip balms are coconut oil, argan oil, avocado oil, sunflower/safflower oil, rosehip oil, jojoba oil, and calendula oil. Calendula oil is particularly great for very dry lips because it softens skin and helps to stimulate the growth of new skin cells. Whether you are looking for an intense lip treatment for dry, chapped, winter-battled lips or a simple moisturizing (and perhaps tasty) everyday lip balm, this big book of bomb balms has got you covered. We scoured the web in an effort to create the ultimate glossary (pun intended) of amazing organic lip balms from reputable brands. The result? 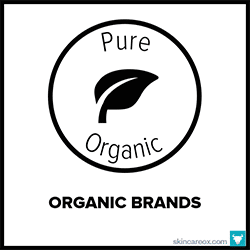 This list of the top 60 delicious certified organic, SPF, tinted, vegan, flavored, and unflavored organic lip balms. Each balm below contains a high quantity of (preferably certified) organic ingredients that are effective at treating and protecting the lips. These balms contain no parabens, nothing artificial, and no genetically modified ingredients. Don’t forget to check out the Ox Box if you’d like our experts to pick the best organic lip balms for your skin. The Ox Box is a seasonal subscription box filled with the best organic skin care products hand-picked just for you! 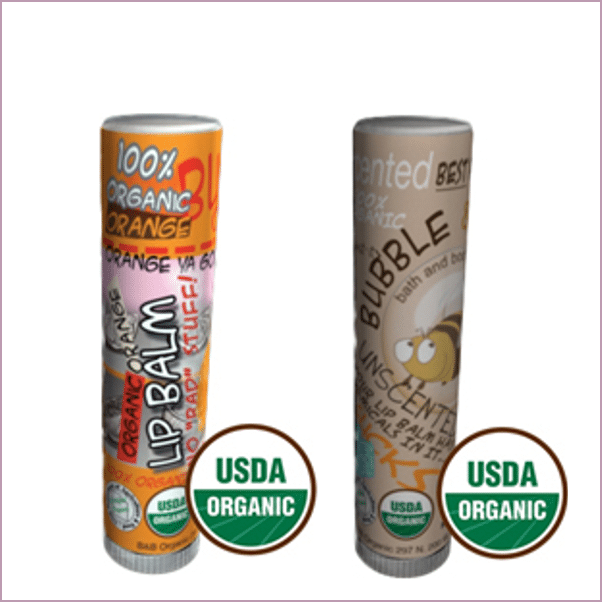 These lip balms have received third party organic certification from reputable agencies like USDA, Australian Certified Organic (ACO), NaTRUE, Ecocert, and others. All organic! 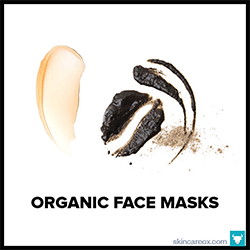 Made with organic sunflower seed oil, shea butter, beeswax, avocado oil, orange oil, vanilla, and rosemary extract. Made with 100% natural and 72% organic ingredients like shea butter, olive oil, honey, Madagascar vanilla, and wild mango butter. 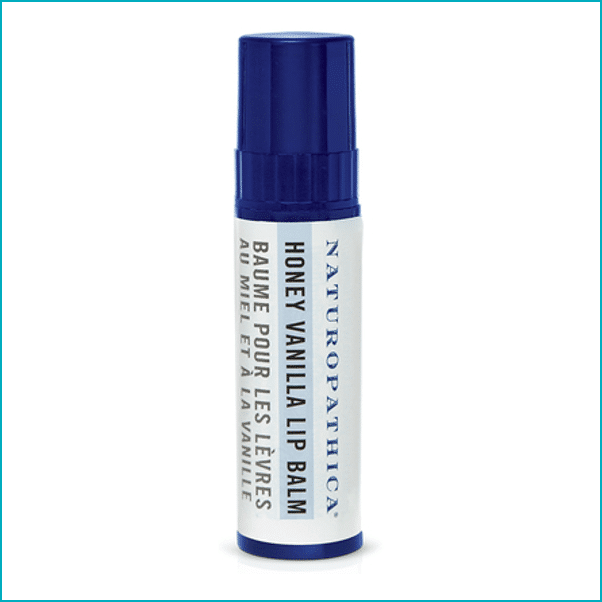 This lip balm delivers intense hydration with beeswax and organic oils like rose, sweet almond, and macadamia nut oil. Set of 12 USDA certified organic lip balms in natural flavors like peppermint, honey, vanilla, acai berry, green tea, and Asian pear. 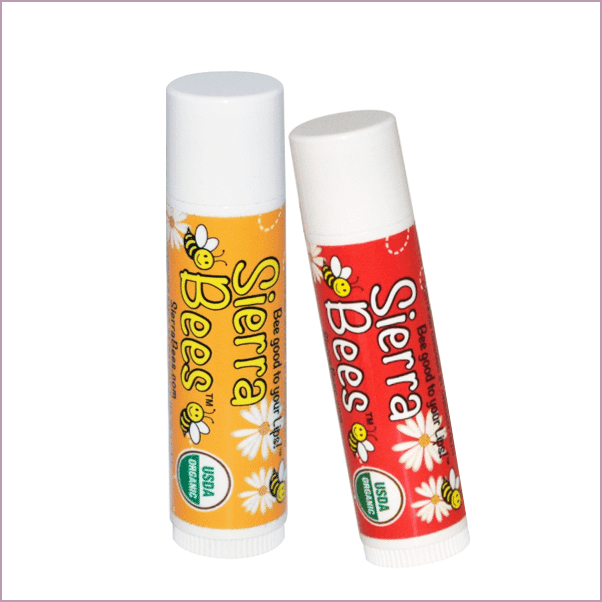 A lip balm made from USDA certified organic castor oil, beeswax, orange oil, vanilla, shea and cocoa seed butter. 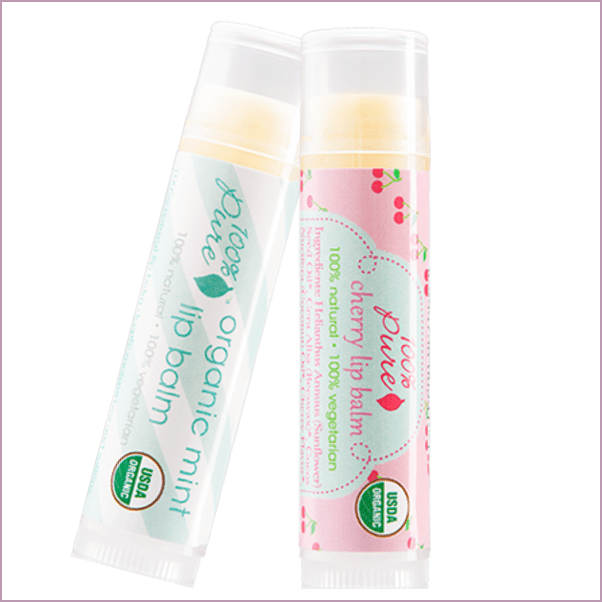 USDA certified organic mint and cherry flavored lip balms featuring vitamin E and oils like sunflower, coconut, rosemary, and calendula oils. 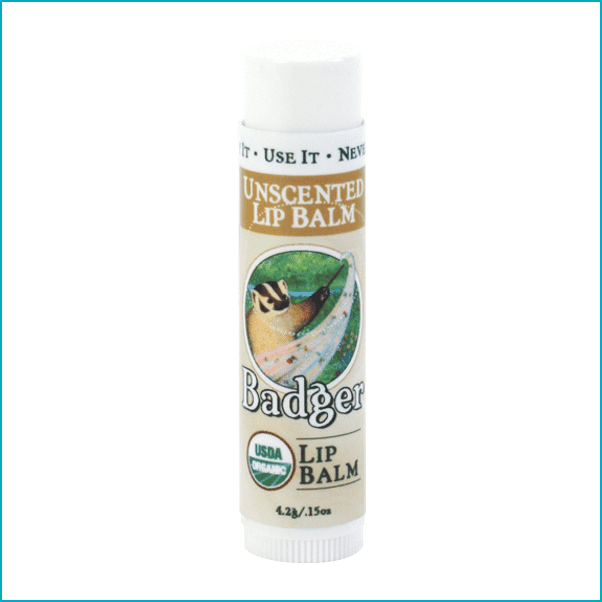 A simple USDA certified organic lip balm made from sunflower seed oil, beeswax, coconut oil, peppermint, menthol, and vitamin E.
Available in three USDA certified organic flavors: peppermint green tea (refreshing), vanilla rosemary (soothing), and cherry aloe (nourishing). 100% organic and certified by USDA! Made with beeswax and a blend of organic sunflower, olive, jojoba, tangerine, lemon, cranberry oils. Made with 100% certified organic ingredients and available flavors like lemonade, pear, raspberry, strawberry, vanilla, peppermint, cherry, and way more. 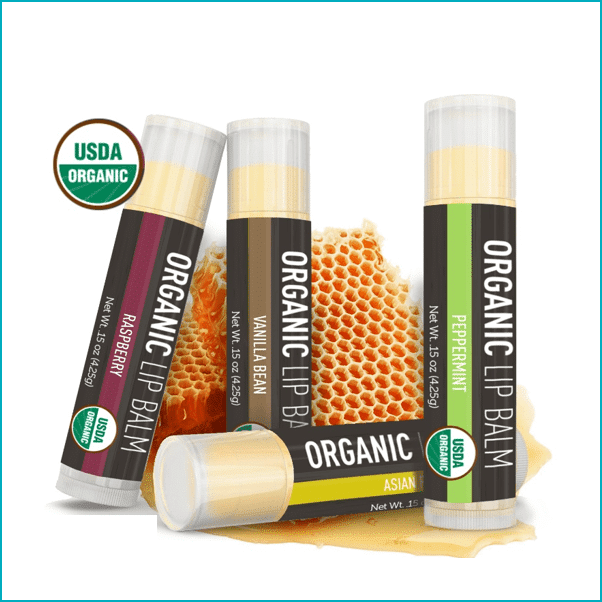 This USDA certified organic lip balm features organic beeswax sourced from responsible Bee Farmers. Check out their Tamanu & Tea Tree balm! 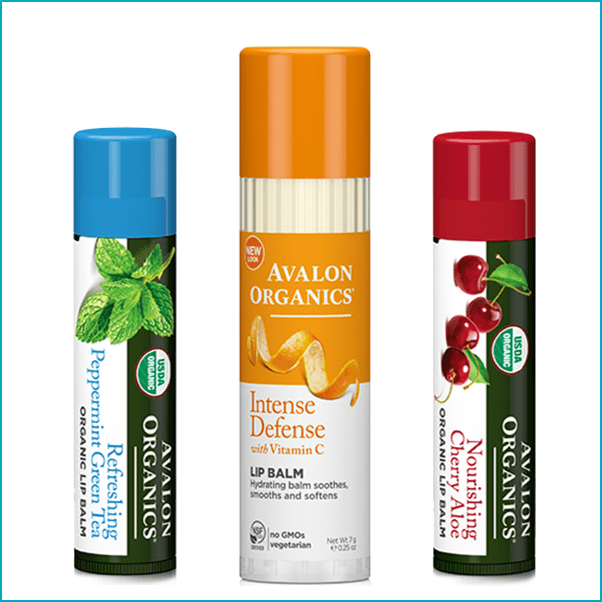 These USDA organic lip balms get their delicious taste from organic fruits and oils like strawberry, grapefruit, peppermint, and coconut. 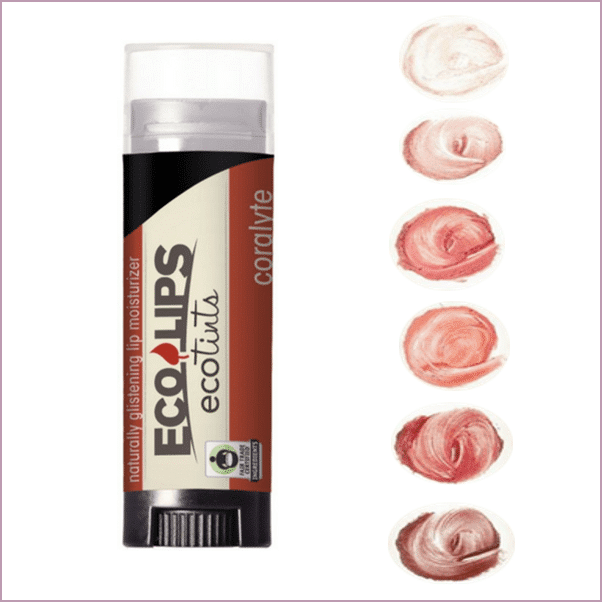 Coat your lips in a blend of hydrating certified organic oils. Available in yummy flavors like root beer, raspberry, and pomegranate. Luxury in a jar! 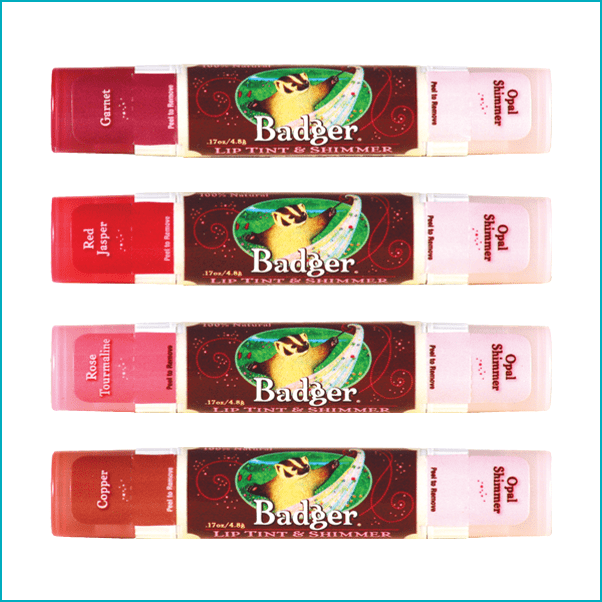 100% natural and USDA certified organic ingredients including avocado, coconut, jojoba, cocoa + shea butter, and vitamin E.
Badger Balm offers a variety of USDA certified organic lip balms. Their classic balms are made with olive oil, beeswax, and aloe. 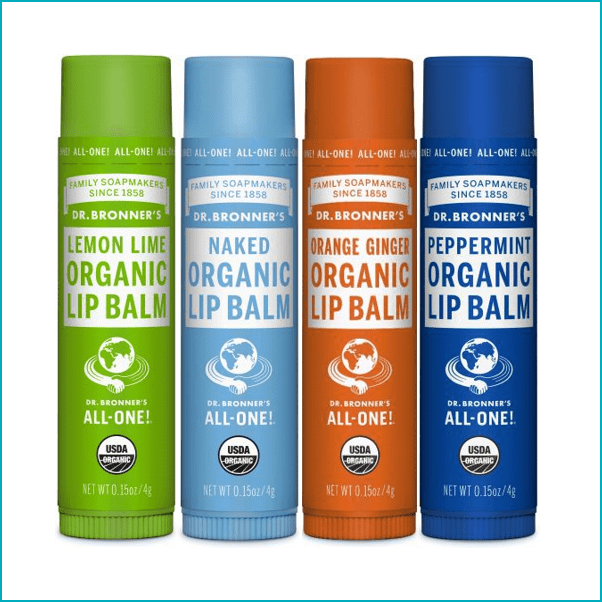 Certified organic lip balms available in passion fruit, strawberry, ginger mango, sliced peach, cranberry orange, and coconut pineapple flavors. 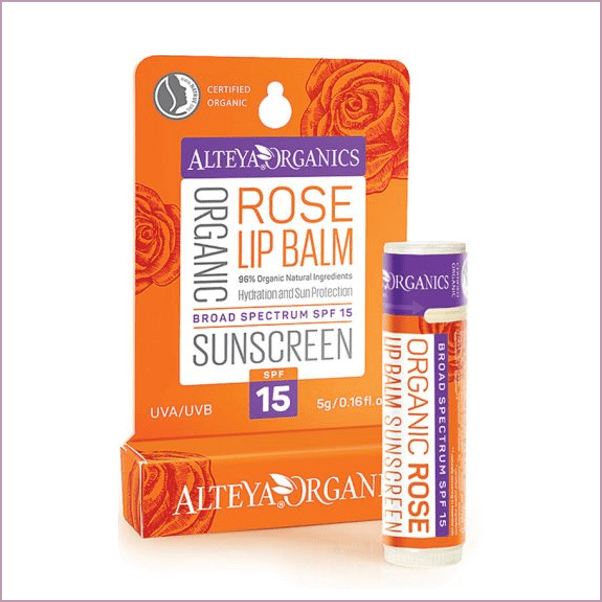 These organic lip balms use natural zinc oxide and other non-toxic sunscreens to provide SPF protection for delicate lip skin. 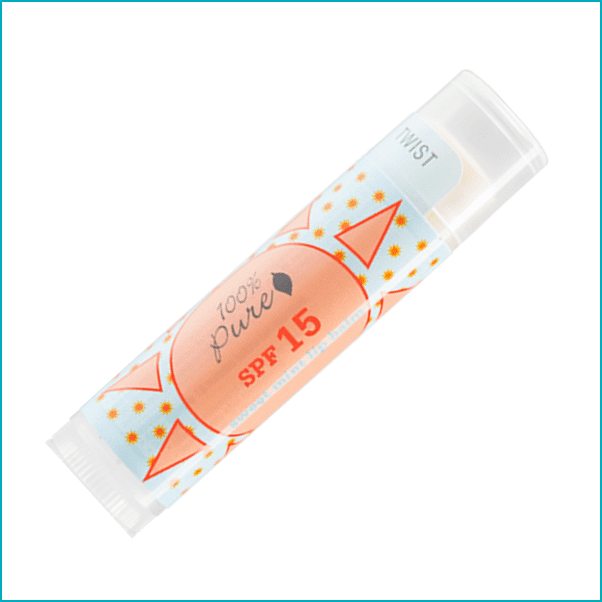 An SPF 15 lip balm that is also filled with organic ingredients like pumpkin seed oil, rose oil, and seabuckthorn extract. A set of three SPF 8 organic lip balms featuring aloe juice, plant based candelilla wax, coconut oil, and sunflower oil. 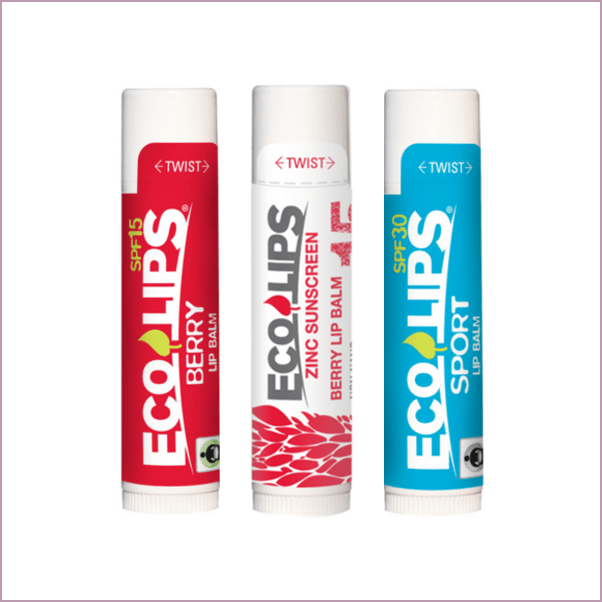 These organic lip balms offer sunscreen protection from SPF 15 -30 in flavors like vanilla, berry, mint, and a lightly flavored sport version. 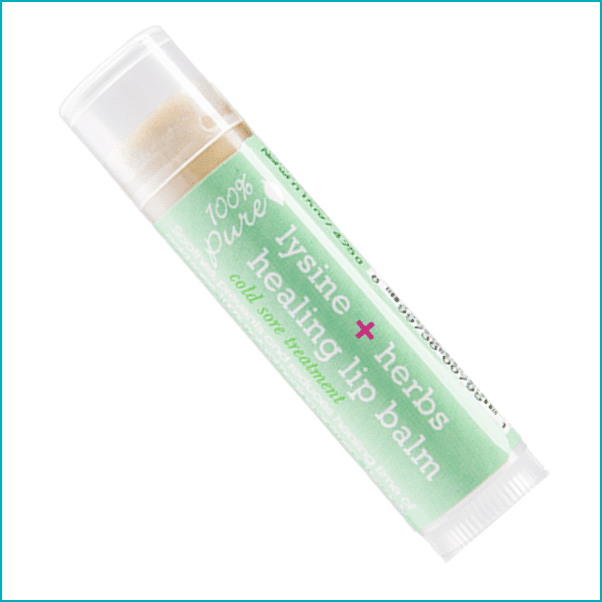 This yummy mint lip balm nourishes and protects lips with zinc oxide, calendula extra, cocoa butter, vitamin E, tamanu oil and others. 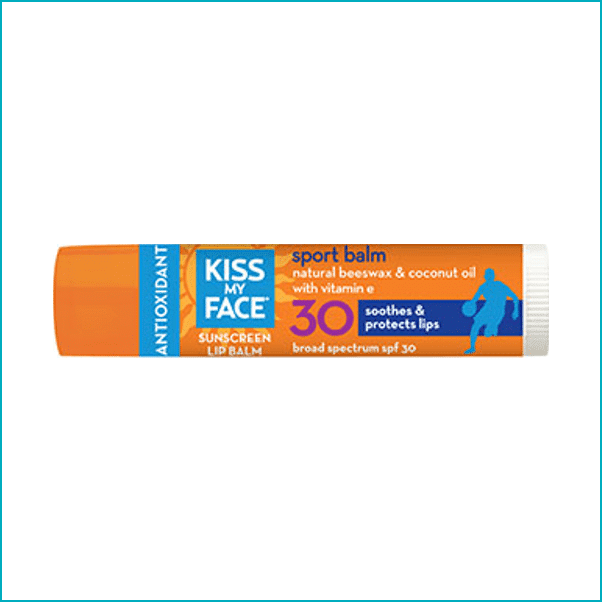 A spearmint flavored SPF 30 sport lip balm that is preservative free and water resistant. 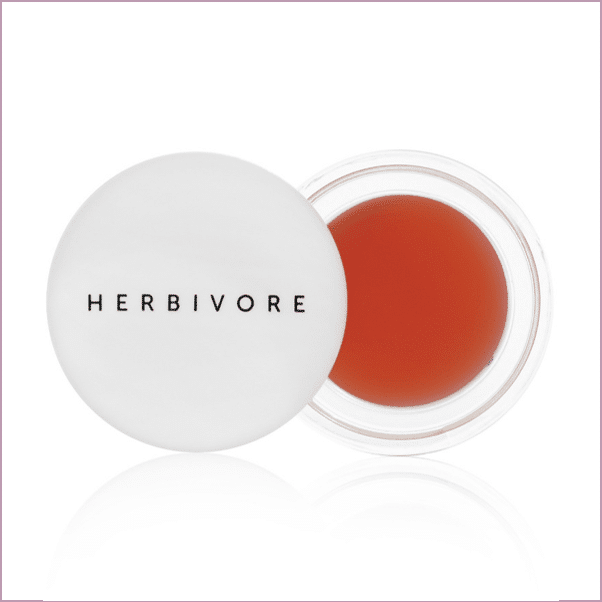 Made with organic beeswax, oils, and vitamin E.
Organic tinted lip balms achieve their luscious colors by using delicious natural pigment sourced from fruits, berries, and other compounds. 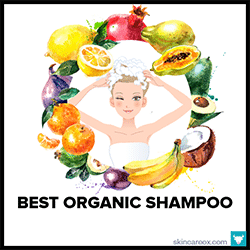 Organic and Fair Trade ingredients like aloe vera, cocoa butter, coconut oil, peppermint, and vitamin E (to name a few). Hydration with a pop of natural coral color. Made with plant based and organic ingredients like virgin coconut oil, Moroccan rose absolute, and meadowfoam oil. 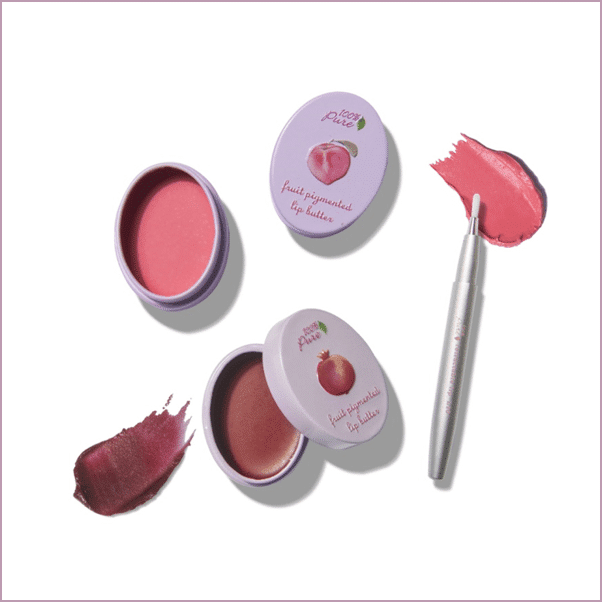 Yummy lip butters that get their beautiful pigment from real fruits and berries like peaches, strawberries, cranberries, pomegranates, and cherries. Beautifully pigmented organic lip balms in colors like French Melon (No.2), Crimson (No.3), Berry (No.4), Currant (No.5), Bronze (No.6), and Persimmon (No.8). 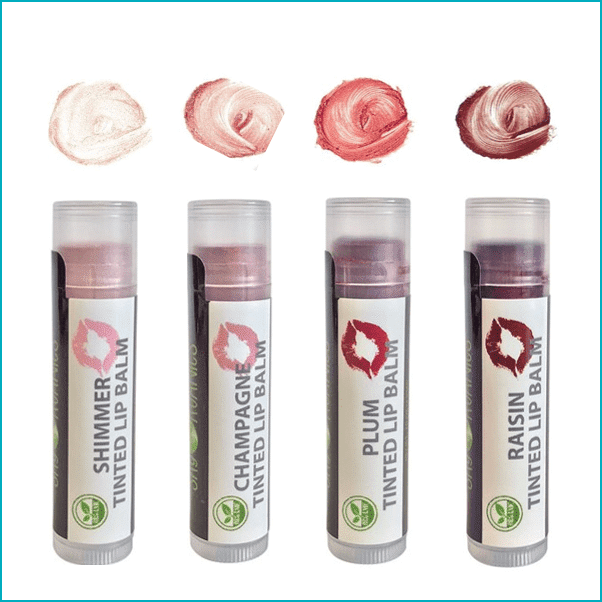 A four pack of minty organic tinted lip balms in colors like Plum, Champagne, Shimmer, and Raisin. 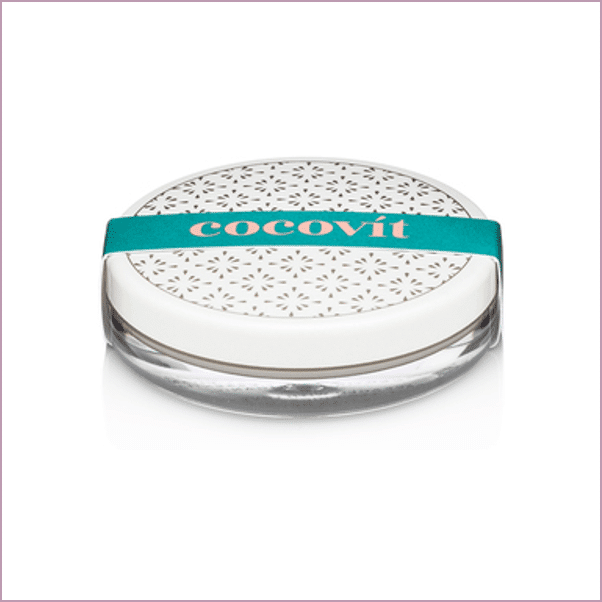 Made with ingredients like organic beeswax and coconut oil. Available in copper, rose, red jasper, and garnet tints, these organic cocoa butter lip balm + lip shimmer combo sticks contain 94% USDA certified organic ingredients. 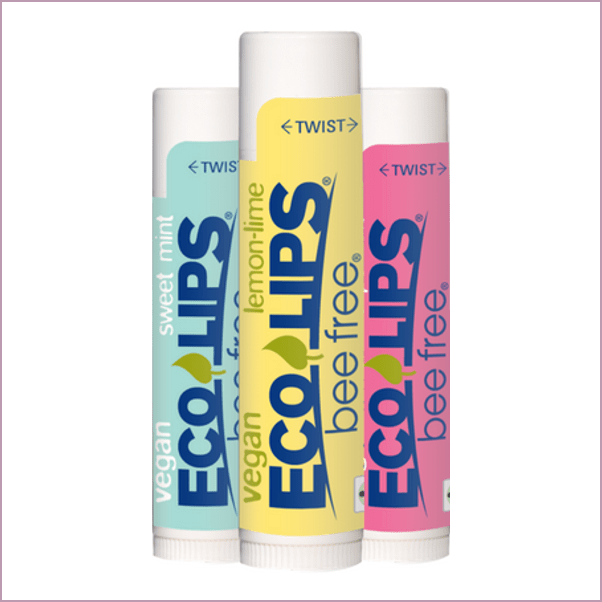 Vegan organic lip balms are cruelty free (does not test on animals) and contain no animal by-products (like beeswax and honey). 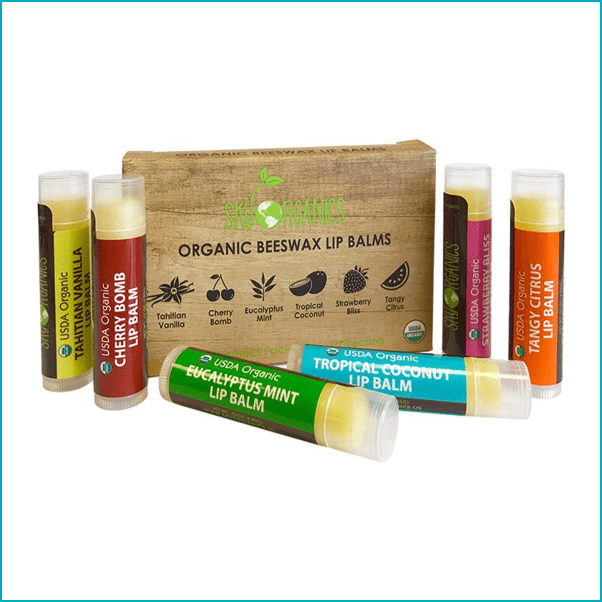 Instead of beeswax, vegan organic lip balms use candelilla wax or non-GMO soy wax. 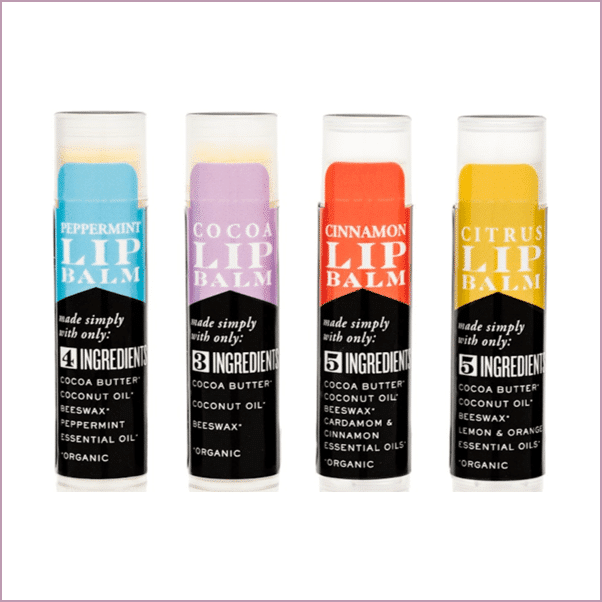 Moisturizing lip balms made from organic cocoa butter, coconut oil, candelilla wax, and essential oils like tangerine, lemon, cinnamon, peppermint, coffee, and hops. Using candelilla wax (instead of beeswax) these tasty vegan organic lip balms moisturize your lips with a blend of certified organic oils. 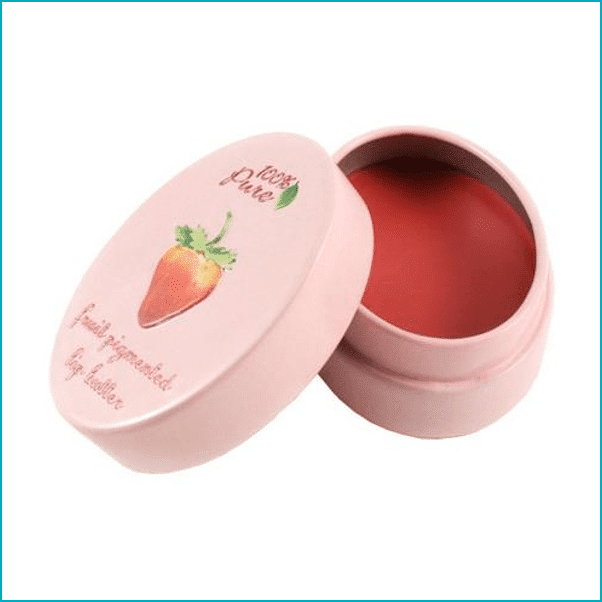 These incredibly delicious tinted organic lip balms are made with fruit, berries, and nourishing carrier oils like avocado, rosehip, and carrot oil. Simple vegan organic lip balms made with candelilla wax and certified organic coconut oil, sweet almond oil, jojoba oil, olive oil. 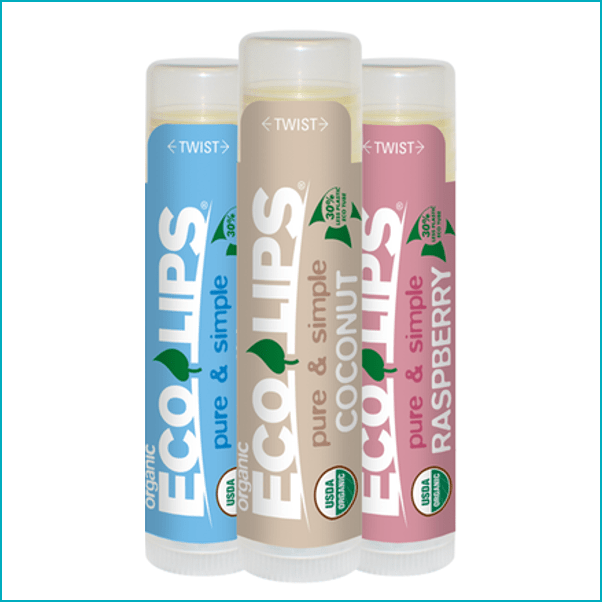 Available in 14 flavors and each organic lip balm is infused with freshly brewed teas like green tea, white tea, peppermint tea, and others. 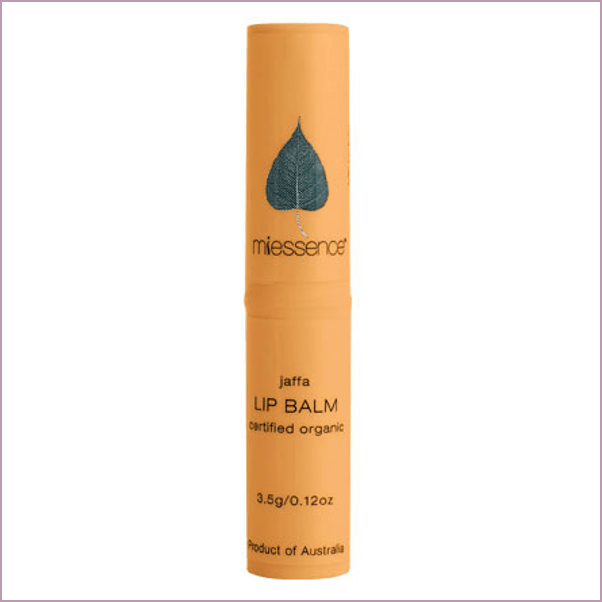 A super thick and creamy lip balm that last all day long (perfect for winter lips). Made from oils like blue chamomile, argan, rosehip, and avocado. 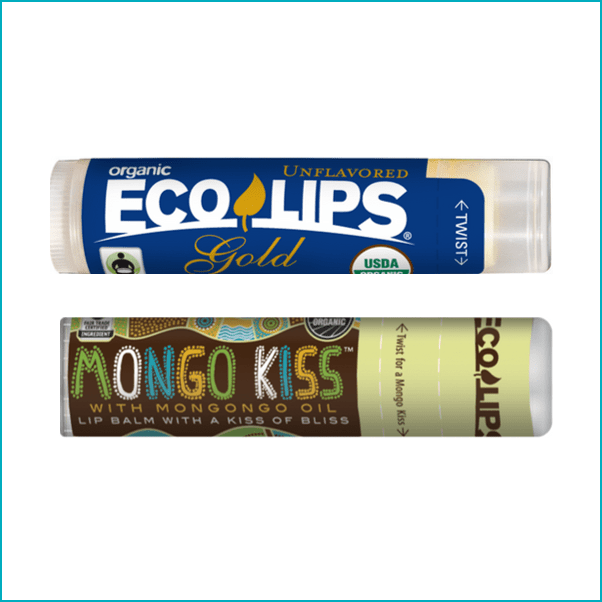 These yummy organic lip balms get their amazing flavors from natural fruit juices, honey, plant extracts, and essential oils. They are completely non-toxic, so feel free to lick away! Made from just organic cocoa butter, beeswax, coconut oil, and essential oils for flavor (peppermint, cinnamon, and citrus), this lip balm goes on smooth and lasts all day. Made with premium raw Hawaiian honey, raw beeswax, organic olive oil, a hint of organic vanilla, and a little stevia for sweetness. A premium coconut oil lip balm made from raw organic coconut oil, vitamin E, and a delicious blend of sweet orange + basil essential oils for flavor. 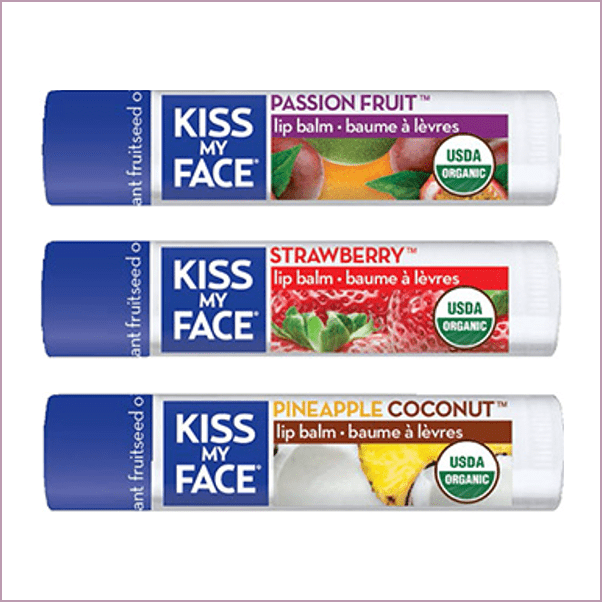 A set of four USDA certified organic and all natural lip balms in vanilla bean, peppermint, raspberry, and Asian pear flavors. This lip balm is specifically formulated to treat cold sores with a blend of lysine, lemon balm, tea tree oil, Echinacea, and other oils + herbs. 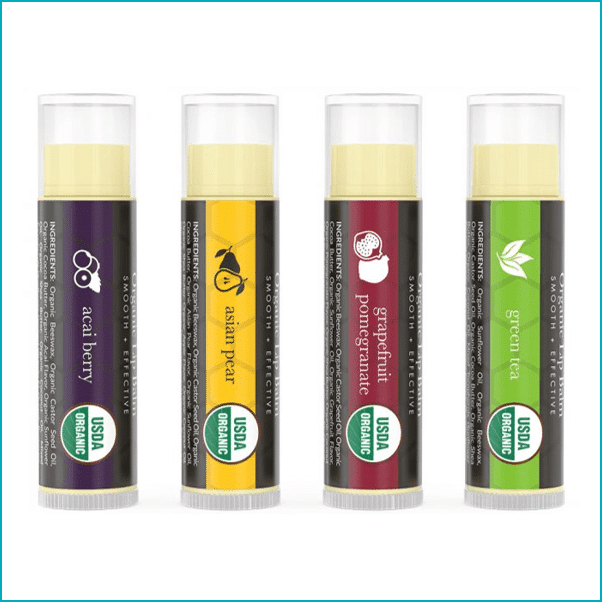 A delicious pack of six organic lip balms in assorted flavors like cherry, eucalyptus mint, coconut, tangy citrus, strawberry, and Tahitian vanilla. 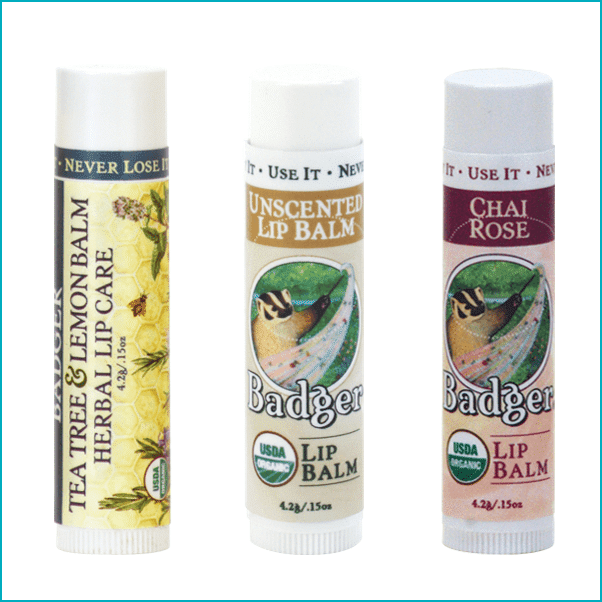 Unflavored organic lip balms deliver intense hydration without overwhelming (and tempting) scents and flavors. These balms are either totally unflavored or have a light natural flavor. Perfect for chapped winter lips! This lip balm is 87% organic and filled with good oils (like olive, avocado, and argan), cocoa butter, and beeswax. This ultra-pure unscented, unflavored, and certified organic lip balm is packed with moisturizing ingredients like cocoa butter, baobab oil, sunflower oil, and calendula flower. 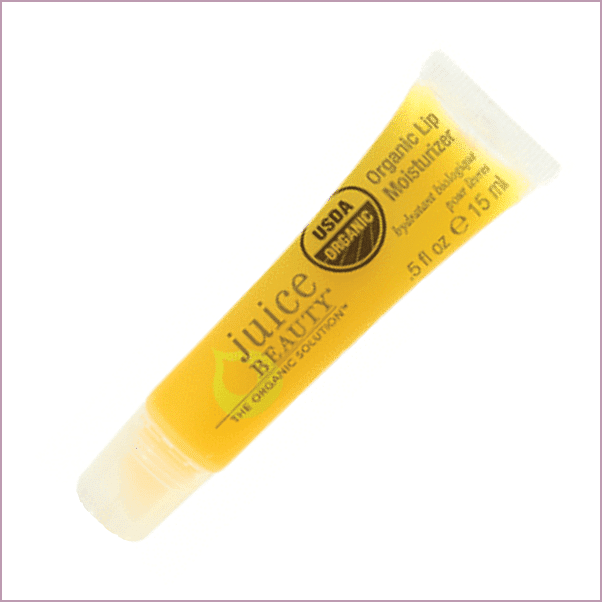 USDA certified organic and unscented, this light lip balm moisturizers dry lips with a combination of olive oil, beeswax, and rosemary extract. 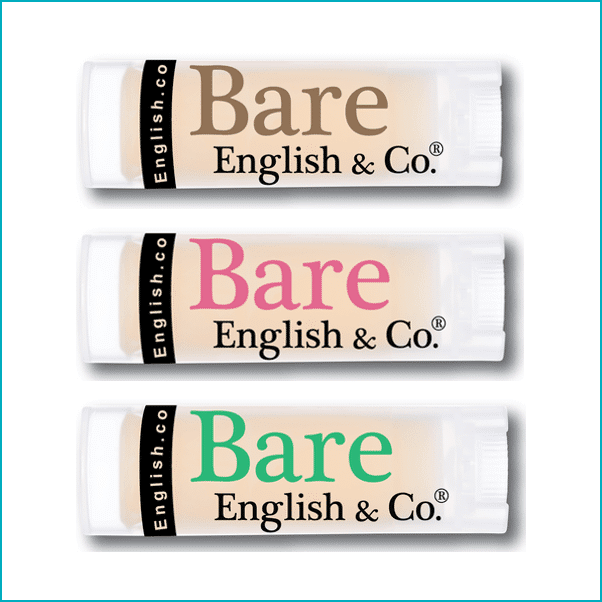 An unscented organic lip balm made with three simple organic ingredients: sunflower oil, cocoa butter, and beeswax. 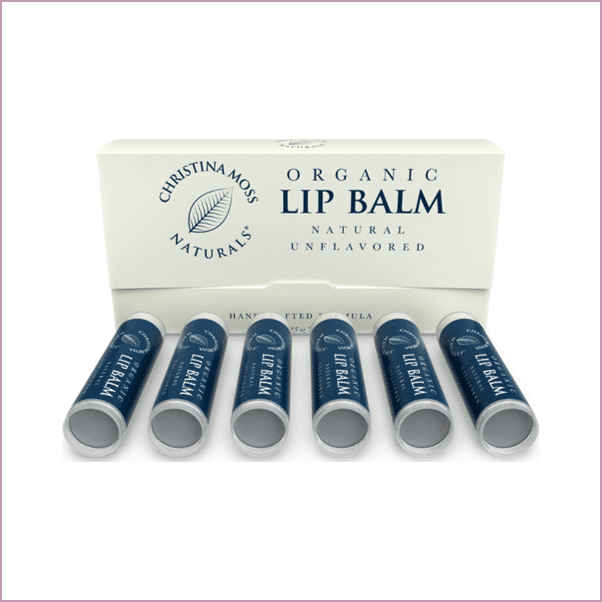 A pack of six unflavored organic lip balms made from 100% certified organic ingredients (like castor oil, sunflower oil, coconut oil, and beeswax). 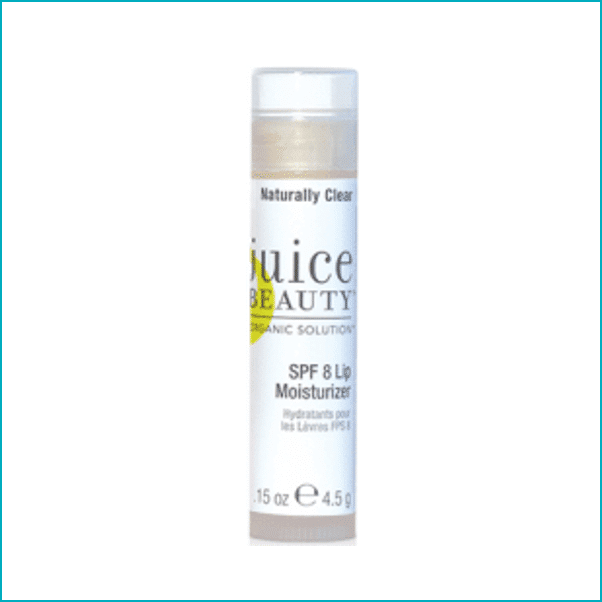 Naturally clear with only a hint of fruity essence, this organic lip balm will soften your lips with essential oils and protect them with SPF 8. 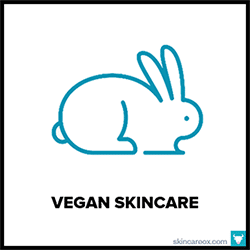 BEST VEGAN ORGANIC SKIN CARE PRODUCTS OF 2017A list of 42 vegan organic skin care products for flawless skin.